When I said earlier that I wouldn’t be doing a Dr. Strange primer I think my reasoning behind that hinged upon the belief that most people reading my posts know who Dr. Strange is. 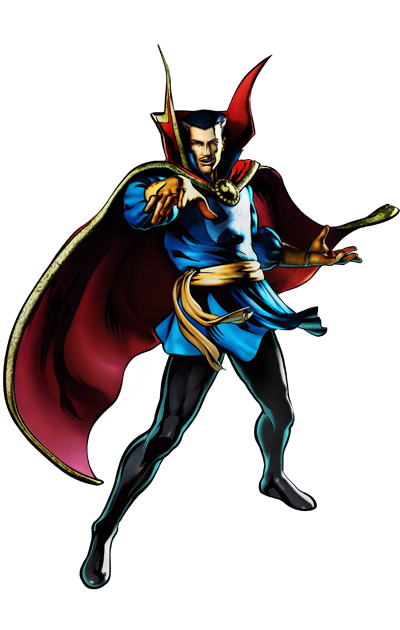 Upon further deliberation of that perceived fact I came to the conclusion that while comic fans know who the good doctor is, the fgc’s knowledge of Marvel’s mystical menagerie is probably severely lacking, so listen up while I lay down some arcane info on Earth 616’s Sorcerer Supreme, Dr. Stephen Strange! In the beginning the good doctor was nothing more than that: a doctor, more specifically a very talented neurosurgeon. Unfortunately his unparalleled skill was accompanied by an unadulterated arrogance which ultimately led to his downfall. Bereaved by dead family members his skills couldn’t save he lost the use of his hands and fell right to the bottom of a bottle. Luckily he happened upon the Ancient One, Earth’s Sorcerer Supreme, who decided to take Strange under his wing when he helped the wizened old wizard against his former pupil Baron Mordo. 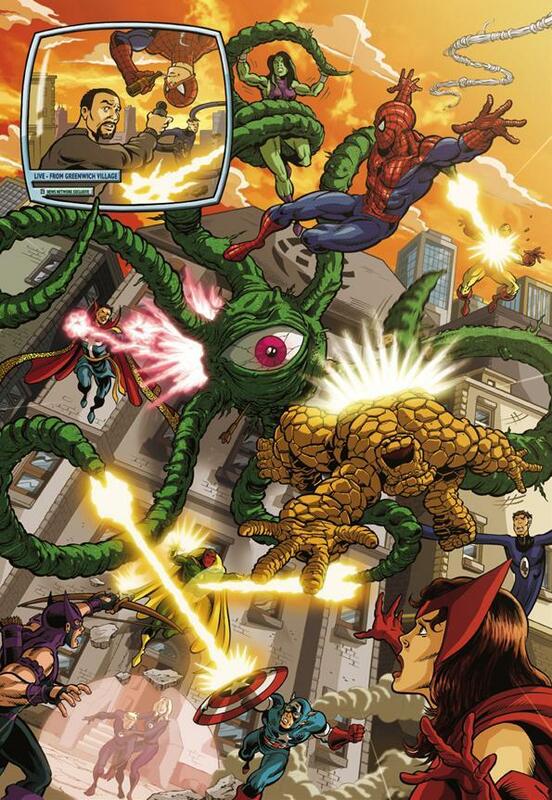 As an apprentice Strange helped the Ancient One defend the Earth from various mystical enemies but was forced to kill his teacher when Shuma-Gorath, that’s right all you MvC fans, threatened to enter our universe through the mind of the Ancient One. These are the sort of shenanigans that go down when Shuma's in town. With the Ancient One dead the mantle of Sorcerer Supreme fell to Doctor Strange and he’s protected Earth, the galaxy, our dimension, and various other universes ever since. Oh sure there have been occasions when he’s been stripped of his title, cut off from his mystical energies and the beings they’re derived from, or un/willingly passed the torch (we’re looking at you Brother Voodoo) but in the end Stephen Strange is Marvel’s one true Sorcerer Supreme. While he’s never been quite capable of holding down his own series he helps out whenever there’s a threat too huge for his fellow heroes to handle. Whenever something Lovecraftian threatens to burst the boundaries between the mortal plane and the outer dark you can bet Strange will be there to send it back to the blackness! So with that short and sweet history lesson what exactly is Doctor Strange capable of? He’s a normal human who, without his magic and talismans, is just about as fit as a man his size that engages is moderate physical activity. Olympic athlete he’s not. However, with the aid of the Vishanti (Agamotto, Hoggoth, and Oshtur) he can do just about anything and is said to be one of the Marvel Universe’s most powerful beings. Honestly, the guy can rearrange matter, teleport anywhere, shoot beams of magic energy that freeze, explode, electrocute, disintegrate, and he could probably create one that did all four at once plus more. He can hang out in the Astral Plane, close up black holes, navigate dimensions that would drive any normal person insane, levitate, see the truth, and on and on and on and on. But for all his mystical might if his hands get messed up he’s out of the fight. It seems as though he channels most of his power through his hands, heck there’s even a comic titled “The Mystic Hands of Doctor Strange” but without them he’s gotta call on the powers of some very dangerous heavy hitters. Demons like Zom. THIS! Who needs hands when you have spiked wheel thingys on your wrists? 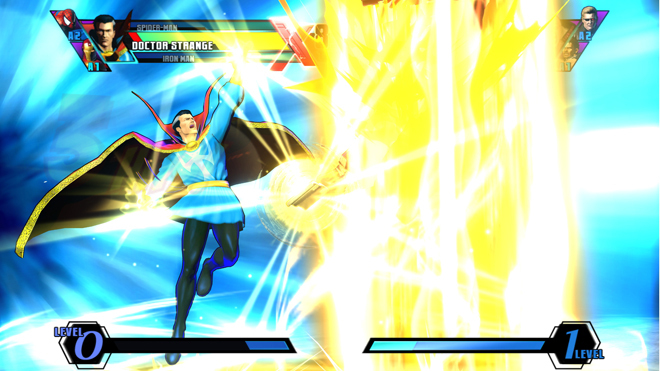 In-game he uses the Flames of the Faltine, which is to say Dormammu’s fire. Huh? 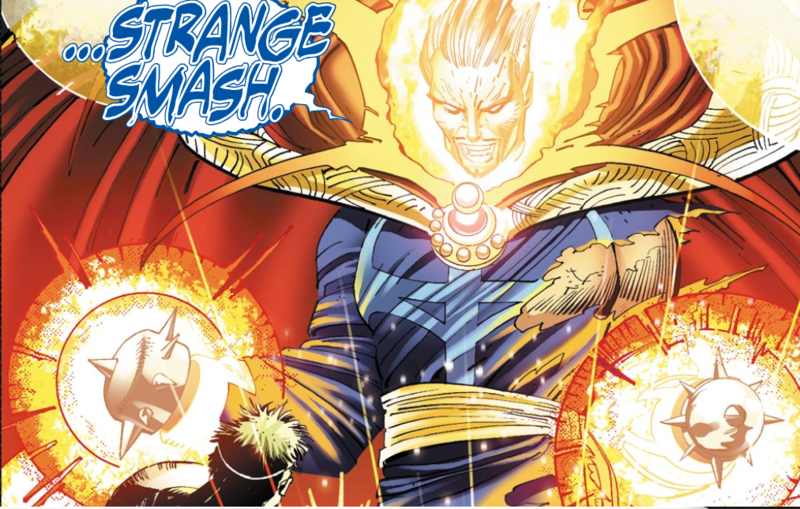 Let me explain: Dormammu and his sister Umar, and a few others are known as the Faltine, beings of immense mystical powers that are all but omnipotent in their home dimensions. How Doctor Strange has managed to harness these potent eldritch energies is beyond me, but clearly not for the Sorcerer Supreme. I’m won’t delve too deeply into an analysis on his special moves because Seth Killian has done that for you in the videos below, but I will say that Doctor Strange is looking amazing. I can’t wait to see what the pros bring to the table when they get their hands on this guy. As always you can follow me on Twitter at Kingofbreaker and if you feel like destroying me in MvC3 when I’m not playing Deus Ex you can reach me at iFight4food. Until next time everybody, Sumo out! I Read about a Hurricane in NYC and Then a Hurricane Threatens NYC. Coincidence? 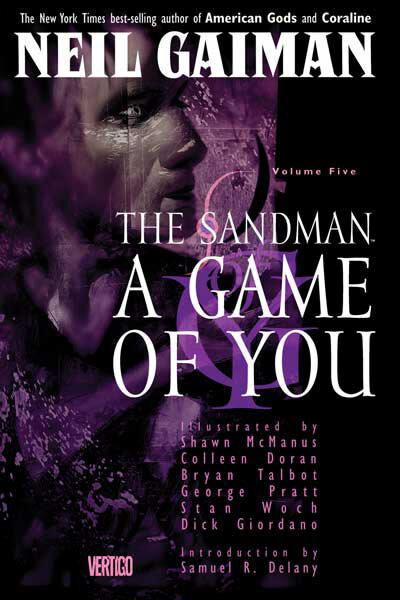 The day Hurricane Irene threatened to rip New York City a new one I had just finished reading The Sandman: A Game of You. It’s the fifth volume in Neil Gaiman’s amazing run on the Dream King and a great little book in itself. In it a hurricane, “Mean Lisa,” blasts the five boroughs with gale-force winds, topples building, and kills a ton of people. Can you imagine if things that you read about somehow took shape in real life? The Big Apple would be cleaning up more than just floodwater in the subways I can tell you that much! If that were the case I don’t know if I’d ever read anything ever again for fear of loosing something terrible upon the waking world. Though I suppose if I seriously vetted my reading list that could be sort of awesome… Just a random thought on a random Sunday evening. For all of you new readers here at I Speak Comics, besides being an inexhaustible spouter of comic book lore, I’m also a graduate student at Michigan State University! Impressive right? Anywho I’m just writing a little to explain why I haven’t been updating the Ultimate Marvel vs. Capcom 3 stuff and my regular comic book stuff. It’s just been so darn hectic around here! I’m finally moved into my new place and I had my graduate orientation today (Free taco bar for lunch. Booyah.). Got to talk to my masters cohorts as well as some PHD students and honestly, they seem really interesting. A few were even interested in comics! So now I’m trying to balance this grad school madness with my extracurricular writing, writing tutor job, my fighting games, my comics, my pr job, and the most wonderful girlfriend in the world. I’ll keep you mothers updated and keep your eyes peeled for a Doctor Strange post in the future! p.s. I hate just writing and posting without any proofreading but… oh well. What is this "High 5" you speak of? AWWWW YEAH! 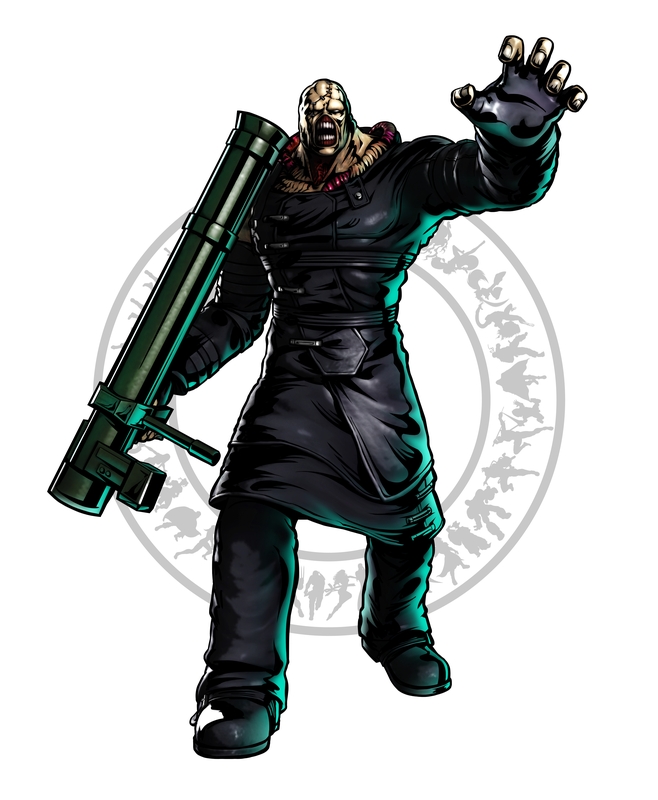 Nemesis, the b a mo fo from the Resident Evil series makes his first fighting game appearance ever in Ultimate Marvel vs. Capcom 3! I don’t know how hyped you guys were when you saw him bust on the scene in that leaked character lineup but I about pooped my pants. I love the big characters and I can’t wait to team him up with the Incredible Hulk and wreak a storm of devastation upon my enemies! First Impression: Utterly grotesque and preeminently awesome, Nemesis looks pretty darn slow but makes up for it with some surprising range on a select number of normals and two totally awesome hyper combos. The majority of his normals seem par for the course when it comes to a bruiser like Nemmy. They’re slow but have decent reach and look to do pretty alright damage. I’m more interested in what appear to be his aerial command normal, the one where he shoots the tentacles out of his outstretched hand (Video 1 – :27). It has great range (I wonder what the actual hitbox looks like?) and helps Nemesis exert some mid-range pressure but I have a feeling people will be fishing with this move just like they do with Haggar’s pipe. Geez what's the hitbox on this thing? It also appears that he has this same command normal, if that is indeed what it is, on the ground (Video 4 – 1:26). His jumping hard attack looks like it has great ambiguous cross up potential (Video 3 – 1:44) and I’m really curious as to whether his bazooka uppercut (Video 3 – 1:23) is a normal or a command normal. Speaking of move classifications, what do you guys think about the Q-like overhead punch he has and uses to great effect pulverizing the Hulk here (Video 4 – 1:34)? Normal, command normal, or special? Yeah I decided to include it in here anyway. Like I said before leads to some seriously damaging combos (Video 4 – 1:34) and is a little like Spencer’s Armor Piercer in that even if you’ve already used up your one wall bounce the Q Punch will cause them to float just enough so that you can connect his Rocket Assault hyper OTG from a full screen away! Definitely a move you’ll be seeing often, but hopefully not too often because it looks wicked punishable. I’m thinking it’s a command normal but I saw a little red energy animation on a few occasions and decided to include it in the specials section. Nemesis crouches, rushes forward, and hits the enemy with his shoulder (Video 2 – :20). Can be cancelled/linked into Q Punch (Video 1 – :50) and lowers Nemesis’ hitbox significantly, making him a much smaller target for a second or two. 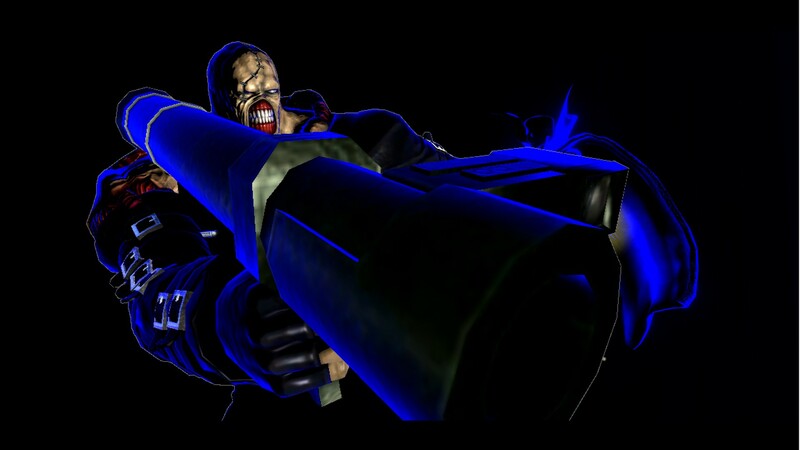 Nemesis shoots a rocket at his enemy. Looks as though it hits OTG at a downward angle, fires straight (Video 1 – :40), and possibly upwards. Also looks as if it can be tiger kneed in the air to add a little more damage to ground combos (Video 4 – :56). Seems like a pretty average projectile but I’m sure almost all the cast can crouch under the normal straight shot version. Looks like a pretty decent command grab with some serious range. Can be done to snag aerial characters from the sky (Video 1 – :50) and on the ground in front of him (Video 2 – :33) though Nemesis is so tall it almost looks like the normal height one misses crouching characters! Whips enemies to the ground and bounces them for a combo. I wonder if this takes up one ground bounce or if it’s like Thor’s Mighty Hurricane and is just a way to start a combo from the throw? Regardless, it’s just another great tool to add to his repertoire. Ok, I cannot get over how freaking awesome this hyper is. Nemesis launches a volley of rockets at his enemy that OTG and after the last rocket hits he jumps into the sky and smashes down on his foe, sending them careening into the air just a little higher than Nemesis’ standing height. Why is this so awesome? It OTGs from full screen (Video 4 – 1:34) and then puts Nemesis right back into the enemies face for mixups! It’s not like Hulks Gamma Tsunami or Thor’s Mighty Thunder or Haggar’s Body Press. When you use those midscreen they put the enemy a little too far away to immediately continue pressuring. Nemesis breaks the mold in a very dangerous way and with the aid of a lockdown assist I can only imagine how scary he’ll be when he’s got you in the corner after landing this hyper. Also I know we’ve really only seen it hit OTG but when I was watching the most recent Capcom Unity stream I saw the first rocket fire straight out so I’m assuming you can change it’s trajectory if need be. Cannot stress enough how useful this move looks simply because it puts Nemesis back in his opponent’s face from anywhere on the screen. Hulk and Sentinel’s super armor attacks got nothing on this bad boy. Nemesis hauls off and starts throwing haymakers while slowly moving forward (Video 4 – 1:06). Might as well call him the Juggernaut because it doesn’t look like anything stops him, not even other hypers! While the super armor may tempt you into throwing this out whenever I think it’ll only be useful in some very specific situations. 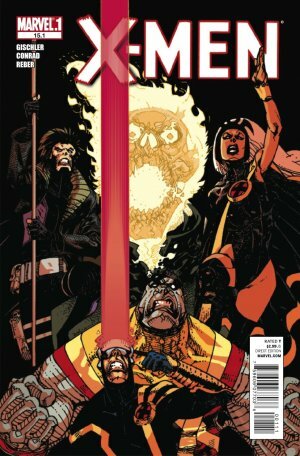 Namely, it looks like a great way to bait X-Factor. 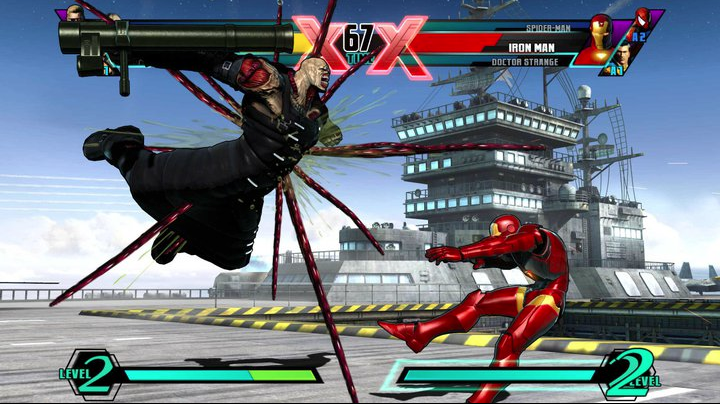 Catch your opponent in a move with a lot of hits, startup, recovery, or whatever and they’ll be forced to X-Factor. If this were any other hyper with such big gaps between hits an X-Factor cancel might present a significant threat, but because of the super armor your opponent will need to block to stay safe and then you can DHC out of there. Ok, so possibly a great way to force an unwanted X-Factor but you’ll still need to worry about quick DHCs into Taskmaster or Wesker’s counters. Those’ll likely put an end to your reign of terror. Not only that but moves with lots of invincibility or that navigate the opponent out of Nemesis’ killing field (Gamma Crush, Body Splash) and possibly some throw hypers will beat it as well. A perfect example of when to use it is given when Nemesis blows through the Kikosho. Chun-Li had no meter to DHC. That’s when you want to use it. The punches have ridiculous range but hit high so I’m assuming a lot of characters will be able to duck under this and it might be completely useless against characters like Amaterasu. Overall a great hyper but very situational. 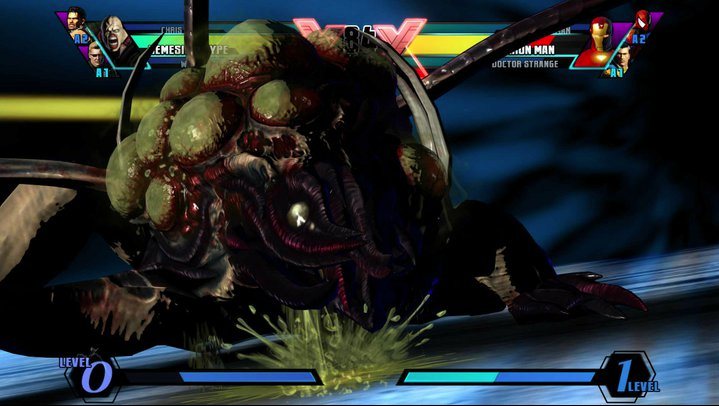 The most disgusting hyper in Marvel vs. Capcom history. Nemesis transforms into his nasty super saiyan of grotesqueness form, tentacles, tumors, and all and puts the hurt on his enemy (Video 1 – :54). Not much else to say about this besides it’ll be great for unsuspecting enemies when you’ve got the meter. The damage looks pretty ridiculous, with a level 3 x-factor destroying half of Super-Skrull’s life (Video 3 – 1:45)! Also looks like it can be cancelled into from his ground tentacle command normal, which he does in both examples. Nemesis shoots a rocket straight through the air (Video 2 – :50). Looks like it can be crouched by nearly everyone. Probably won’t be his assist of choice. I have no idea where I saw this but I’m almost positive I did! If someone can link me I’d greatly appreciate it. Might be good for characters who can’t OTG themselves. Nemesis runs forward with a Q Punch and then fires a straight rocket. I saw this on the Capcom Unity stream. Looks like a very subpar “Get offa me” assist simply because he’s so damn big and it doesn’t seem to have any invincibility. Oh my gosh Nemmy’s enormous! While that’s an immediate draw for me he’s going to be highly susceptible to instant overheads. Also, for some reason the green slime explosions that follow some of his normals look kinda shoddy. Maybe that’s just me though. 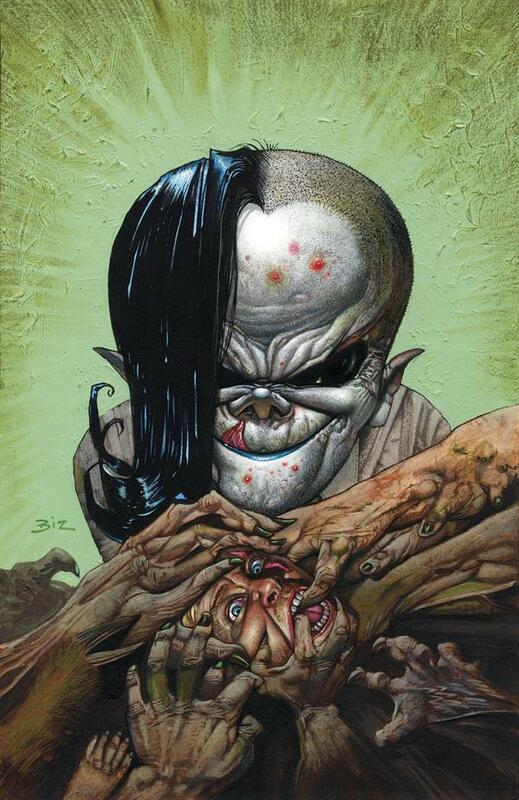 While probably not the best of the new characters, I think Nemesis has a ton of charm and a lots of potential. I can’t wait to try him out with Hulk and work some decimating DHC combos into my game. Then there’s the fact that he’s big and slow and he’s going to need a lot of help from his assists. 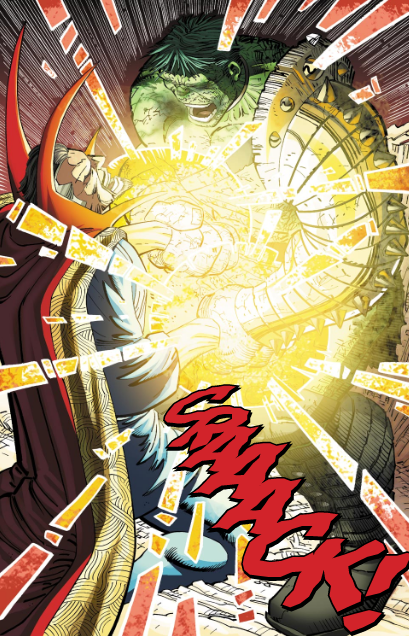 I think all of Dr. Strange’s assists look like they could help Nemesis out alot, especially the Eye of Agamotto which has some serious lockdown potential. Until I see what’s up with Iron Fist I have a feeling that my team is going to be Spencer/Hulk/Nemesis or some variation of that. I CAN’T WAIT TO PLAY THIS GUY! You don’t know who Rocket Raccoon is? Seriously? You’re such a n00b. Actually no, you’re not because Rocket is an incredibly obscure cosmic Marvel character, that is unless you read Guardians of the Galaxy. If you don’t and you’re still painfully unaware of this anthropomorphic space vermin’s existence read on; you’re definitely not alone. Until recently, say 3-4 years ago, Rocket hadn’t been in much of anything since the 80’s when Mike Mignola (of Hellboy fame) was pencilling the critter in his 4 issue mini. 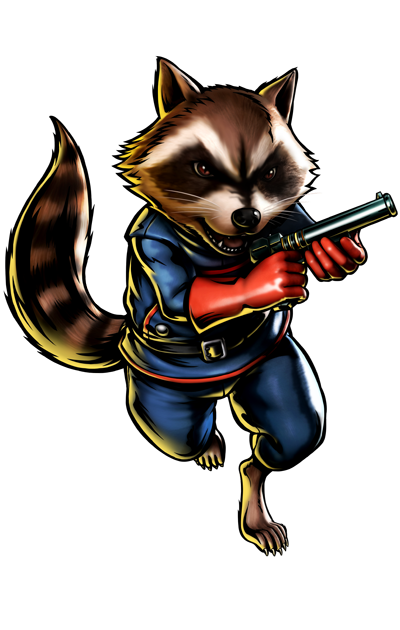 Now he’s a central member of the Guardians of the Galaxy and a playable character in Ultimate Marvel vs. Capcom 3. Not too shabby Mr. Raccoon. For those of you uninitiated in Marvel cosmic lore Rocket was originally a glorified orderly on Halfworld, a planet that functioned as an insane asylum in the Keystone Quadrant. Rocket, along with his first mate Wal Rus, took care of the “Loonies” on the fertile side of the planet while the robots who’d originally served as the patient’s wardens built the inmate’s toys on the other half. A trade war erupted between the two largest toy manufacturers, Judson Jakes and the serpent Lord Dyvyne, both were aiming for a monopoly, and stuff hit the fan. In the end Rocket and his friends emerge victorious, curing the Loonies, deposing Dyvyne and Jakes, and even escaping from Halfworld through the previously unassailable Galacian Wall. The anthropomorphised animal's last stand! Honestly, no explanation can do this series justice; it’s that bizarre, but if you’re interested you should definitely check it out, if only to get a taste of Mignola’s mainstream pencils before his highly stylized Hellboy stuff. I’ve included links to the mini-series issues below from Marvel Digital Comics Unlimited. For those of you who want to cash in your MDCU subscription you got with the MvC3 Collector’s Edition, you should totally give it a shot. 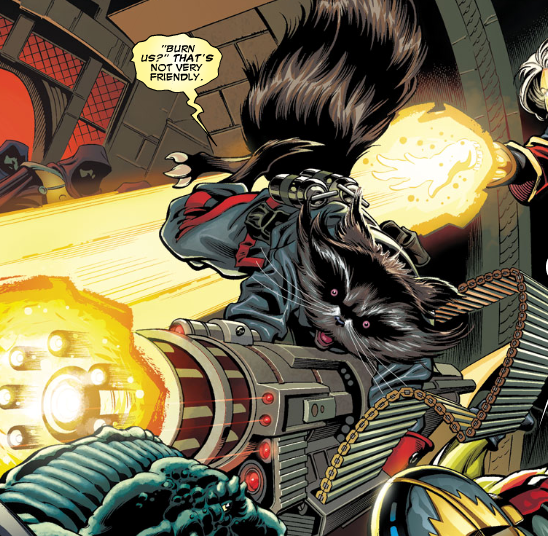 Now Rocket’s blasting bad guys as the unofficial co-leader of the Guardians of the Galaxy and he’s not afraid to pull out the big guns. I’ve heard rumblings around the interwebs that people are thinking he might play something like Cable, with a reliance on beam specials and hypers. I’m of a like opinion, though to a lesser degree, but before we get into that, what’s Rocket capable of? Firstly, he’s a raccoon. A genetically modified raccoon, but a raccoon all the same. He’s the got the strength, speed, agility, and reflexes of a raccoon his size. His sense of smell and hearing are far more acute than humans but physically Rocket’s not too much of a threat. One well placed punt and he’s down for the count, but you wouldn’t know it given his scrappy demeanor. Nope, not afraid of some blood on his gloves. While he may not be able to bench press the bar he more than makes up for it in other ways. He’s a master strategist and tactician and well versed in all sorts of weaponized violence. Whether it’s a bomb or a blaster, in Rocket’s hands it’s especially deadly. Rocket doing what he does best. So how might he play? I, like a few other folks, think he’ll be a very heavy projectile based character, much like Arthur. Factor in his diminutive vertical capacity and he’ll be a perfect fit for Team Can’t Touch This: any combination of Amaterasu, Arthur, Joe, and Rocket. I’m guessing he’ll have super short strikes for normals like Joe but hopefully Capcom will give him a quick ground dash and an 8-way air dash to get in close and apply pressure if needed. Flight maybe? I also hope they equip him with either a jet pack or rocket boots; I mean they do call him “Rocket” for a reason. When I said projectile heavy I do mean projectile heavy. He’s probably one of the few characters that honestly doesn’t have the physical capacity to handle himself in a fight. Oh wait… Tron, M.O.D.O.K., never mind. He’s much more comfortable with guns in his paws and fighting in zero gravity means he gets to play with some massive death-dealing machinery. That gun's definitely bigger than he is. Like way bigger. Personally I think calling Rocket a cute and fuzzy Cable without seeing how he plays is silly, but I suppose the comparison can be drawn. I think he’ll have an awesome projectile game with quick dashes to help him start combos. He’ll be a zoner for the most part, like Arthur or Chris, bringing the pain from a distance and you’ll need to get exceptionally close to do damage with his tiny raccoon limbs. I think he’ll be a strange mix between Joe, Arthur, and Chris. Does that make sense? I want to see him wielding a ton of different futuristic-looking guns bigger than he is while flying all over the screen raining deadly light down on his enemies. I hope he has an 8-way air dash and a rocket pack/skates. I hope he becomes #1 on people’s Most Annoying Character lists. I hope he’s viable because I think he could be tons of fun to play. 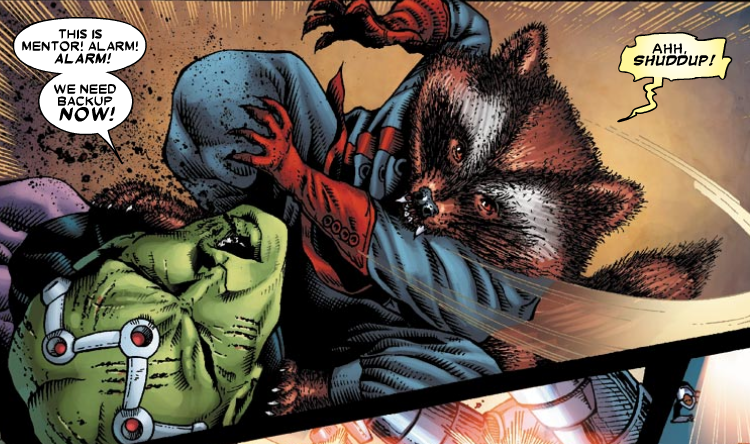 Regardless, I hope this gave you guys a little info on good ol’ Rocket Raccoon. If you’re craving more Marvel madness let me know in the comments and if you’d like me to do one of these for Doctor Strange I’d be more than happy to oblige, though I figured people knew enough about Marvel’s magical mystic. I don’t want to be redundant. Should I add more Marvel history or just stick to the pertinent fighting game stuff? 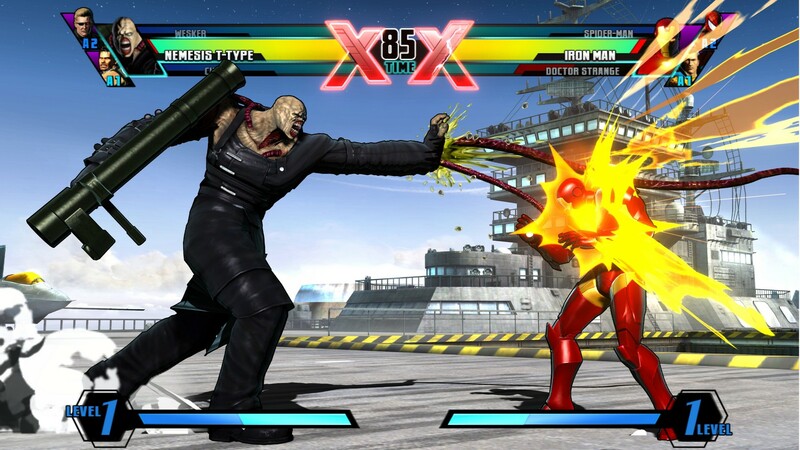 Also let me know if you’d like me to analyze the gameplay videos of the newly revealed characters like I did for MvC3. I’d like to do one for Nemesis this week. He looks so boss. If you’d like to destroy me online in MvC3 you can friend me on X Box: iFight4food and you can follow me on Twitter at kingofbreaker if you so choose. Until next time, this is Sumo signing out! Finishing up my lease stuff, watching Cross Counter and other fighting game stuff, writing emails, and other crazy madness. Back to it!